Many of the following MP3 files are labelled with station details, UTC time and date of recording. Please make sure that your player is set to show this information. Also note that several stations listed bellow may have left the air since. EGYPT, General Program at 819 KHz with ID "Idha atu jumhuriya misr al'arabbiya min al'quahira". EGYPT, Middle East Radio at 774 KHz. Thanks to my friends from RealDX in helping ID. EGYPT, Egyptian Radio (Mid-Delta) at 1161 KHz. Arabic man talk and sign off with National Anthem and test tone. EGYPT, ERTU Al-Quran Al-Karim, Santah at 864 KHz (11-13-2016 21:01 UTC). Good signal here mixing with Spain. Another easier shot now that France has gone - Another shot here with pips and ID “Idha'atu-l-Koran al-Karim min al-Qahira” at sec 11 (Nov 2018) NEW. EGYPT, ERTU Al-Quran al-Karim on 1503 KHz. Now that Iran left the frequency for 558, it allows EGY to show up nicely. Here at sec 26 goes the ID “Idha'atu-l-Koran al-Karim min al-Qahira”. Tnx Mauno Ritola on RealDX for pointing this out (Sept 2018) NEW. IRAN, at 1503 KHz IRIB 1. I was stunned to hear it with such great signal. The S-AM of the Perseus also did a good job recovering audio quality. There was a steady fluttering on both AM and SSB mode. Thanks to the guys from RealDX for helping in ID. Great piano music followed by a low pitch man voice in Farsi - Here's another clip of the same station with Farsi talk - Now some woman talk with a quite good strength. IRAN, IRIB at 1071 KHz with man in Farsi. Thanks to my friends at RealDX for language ID. IRAN, IRIB - Radio Esfahan at 837 KHz with soft music and smooth Farsi talk (Nov 2018) UPDATED. IRAN, Radio Payam on 1188 KHz with talk - In this next one, listen to the Radio Payam tune - Here’s another great reception of that same station. IRAN, VOIRI. at 1161 KHz. This is from the external service in Arabic language. ID at sec.33 "...al Jumhuriya al Ilamiya fi Iran" (Thanks to Dmitri Mezin and Karel Honzik fo their help). One of the best I heard from this country - Here's another segment in Arabic. IRAN, Radio Tehran at 1332 KHz with Farsi talk. IRAN, IRIB 1 at 531 KHz. Thanks to Alessandro Groppazzi at RealDX for helping ID. IRAN, Radio Farhang at 558.044 KHz offset. Farsi talk between man and woman. 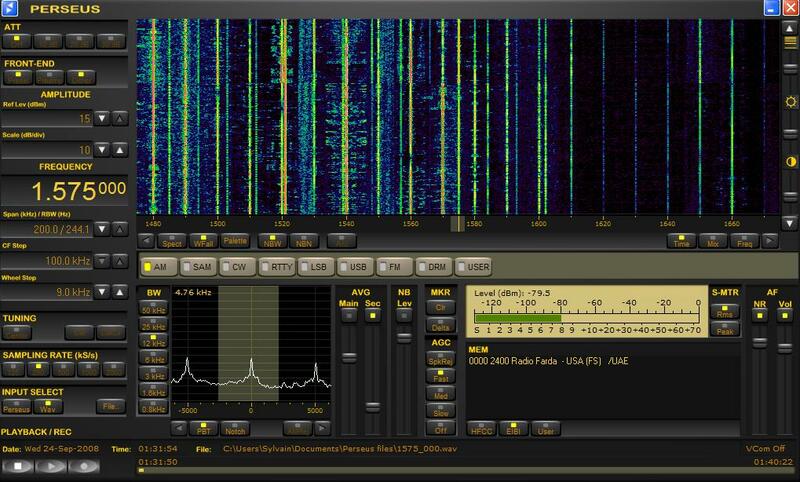 IRAN, IRIB - Reg program at 963 KHz with Persian talk (17 Hz bellow nominal. Nov 2018) UPDATED. IRAN, IRIB 1 at 1278 KHz with surprising strength. A rare station on 1278 - Now, have another listen to this following clip. They give the ID right from the beginning " In ja Kermanshah-ast, Sedaye Djomhuri-ye Islami-ye Iran". Besides detailing the ID, Dmitry Mezin wrote that it was a regional program from Kermanshah. IRAN, IRIB 1 at 1062 KHz with soft music and Farsi talk. Thanks to Mauno Ritola for helping here. This station is listed at 50 Kw. Kerman is located close to both Pakistani and Afghan borders. IRAN, IRIB 1 at 936 KHz. One of my great Iranian catch since the station is listed a 50 Kw. Thanks to Mauricio Molano and Dmitry Mezin on the RealDX list for language ID - Now listen to the following and also to this. Those are certainly so far, the best reception of Iran I ever had - Again, listen to this recording with chimes and full ID. With time, this frequency has certainly become some kind of beacon for Iran. Furthermore, the channel is extremely quiet here at my QTH - I couldn’t resist to add another sample from late September of 2013. IRAN, IRIB - Radio Tabriz at 1026 KHz with Farsi talk - Here’s more of it from Nov 2018 UPDATED. IRAN, VOIRI on 1080 KHz in Arabic mixed with a weakened semi-local powerhouse WTIC thanks to the phaser - Here it is again but this time, alone on the frequency - Now, another great appearance against WTIC in late September of 2013. IRAN, IRIB 1 at 1116 KHz with Farsi talk - Listen now to this other opportunity with a better signal that time. IRAN, IRIB 1 at 1512 KHz with Farsi talk. Thanks to Maurits & Vlad T at RealDX for help - Here in early Nov 2017 with Ambiant music and Farsi talk. IRAN, Radio Iran on 1584 KHz with chant. IRAN, IRIB 1 at 972 KHz with Farsi talk. This was recorded on February 22nd 2011 so Libya might have been off allowing Iran to sneak in. IRAN, IRIB 1 at 765 KHz heard fair now that Switzerland is gone. IRAN, IRIB 1 on 666 KHz with man talk in Farsi quite fair here. IRAN, IRIB WS on 702 KHz with Russian talk about Iran’s nuclear program. Tnx to Mike Shcherbakov for helping ID here. Funny that I was messing this one with Slovakia, overlooking Iran in Russian. A big thanks to the vigilance of my fellow DXers on the RealDX group for getting me back on the right track UPDATED. IRAN, IRIB on 945 KHz sneaking in nicely over France with YL comment + National Anthem. IRAN, Radio Iran, Abadan on 1575 KHz (10-02-2015 2:26) took also part of that great opening towards North Africa and the Middle-East, here with Farsi talk over an extinguished UAE (bellow nominal with -70 Hz). IRAN, Radio Iran, Zabol at 1557.026 KHz (11-13-2016 22:01 UTC) Now that France have left the channel, I had the great surprise while digging out a wideband recording, to hear this 50 Kw station located near the Afghan border. Distance 10,150 km / 6305 mi. See its propagation path here. IRAN, IRIB Radio Golestan at 1368 KHz (actually at -29 Hz). Nice to add this NEW Iranian station, especially when knowing it is located near the Turkmen border (02-08-2018 21:23 UTC). IRAN, IRIB - Sedaye Khuzestan at 711 KHz with Persian talk NEW. IRAN, IRIB - Radio Iran on 1197 KHz with man in Persian (listed at 50 Kw) NEW. IRAN, IRIB - Radio Iran on 1314 KHz with man in Persian over smooth music (listed ar 50Kw) NEW. ISRAEL, Reshet Dalet in Arabic at 1206 KHz with talk mixed with France. Thanks to Vlad Titarev and Mauno Ritola at RealDX for their help. ISRAEL, Reshet Bet at 657 KHz with a man in Hebrew. Thanks to Vlad and Jari at RealDX. ISRAEL, Galai Zahal on 945 KHz from Tel Aviv. At least something to cheer about during this lackluster 2014-2015 DX season. It could pop up thanks to the recent departure of France from this channel. At one time during that same period, I could see up to eight carriers on 945! JORDAN, 1494 KHz Jordan Radio with ID after time pips. Thanks to Henrik Klemetz for the hint. KUWAIT, 1548 KHz, Radio Sawa coming in huge. KUWAIT, 1593 KHz Voice of America with English program and VOA mentions. KUWAIT, Radio Kuwait Main Arabic Program on 1134 KHz with pips, news theme then into the news (Dec 2018). Tnx to Tarek Zeidan for ID UPDATED. OMAN, BBC World Service on 1413 KHz. I was stunned when I heard this station (at the end of May 2008) and it remained steady for about an half hour! I could hear a parallel on 7165 Khz - Now heard about fifteen minutes later, I couldn't resist in sharing this nice musical moment. At this particular period of the year and at this particular time, it happen that both transmitting and receiving antennas are around twilight, giving a propagation boost. According to WRTH and EMWG, that was a program in Dari language - Finally, another shot ten years later that worth mention, here with English program and BBC mentions. Heard on Christmas eve 2018 NEW. OMAN, Radio Sultanate of Oman on 1278 KHz. That was a great surprise to hear something slightly different from what I’m used to hear coming from the Middle-East. This was during the transmitter dawn enhancement. Thanks to Tarek Zeidan for helping discard Egypt which leaves only Oman as the sole Arabic speaking station on that channel. QATAR, QRTC Arabic from Al Arish at 954 KHz. Aparrently re-transmitting Al Jazeera TV at this hour. Thanks to Mauno Ritola and Dmitry Mezin at Realdx for their help. The woman voice in Arabic is mixing over Czech Repubic CR6 station. SAUDI ARABIA, BSKSA on 1521 KHz. No surprise with his 2000 Kw that we hear it which such regularity - In the following clip, listen how those 2 Mw can serve well. One of my favorite clip - Added here is another great reception of the Saudi monster. SAUDI ARABIA, 1521 KHz BSKSA with Spain underneath at the beginning. ID around 1m30. SAUDI ARABIA, BSKSA 2nd program at 702 KHz with ID "...Al mamlaka al'arabiya al soudiya" around sec.35. Thanks to Dmitry Mezin and Tarek Zeidan for approving my own thoughts. SAUDI ARABIA, General Arabic Program at 765 KHz with weak Arabic talk. The offset @ +.0003 confirm that the Saudi station is heard here. Thanks to M.Ritola & V.Titarev for this one. SAUDI ARABIA, BSKSA 1st program on 1071 KHz. Mixing with Iran here, a vey nice surprise for that 50 Kw from Bisha on a great opening to Middle-East in 09/2013. Under the same conditions, Syria usually lives there. SAUDI ARABIA, BSKSA Idha'atu-i Jeddah on 1089 KHz from Qurayyat. A nice surprise in early December of 2013. The usuaally strong TalkSport was literally left behind at some moments by the 100 Kw Saudi station. Thanks to Tarek Zeidan for ID’ing the accent. Now the following caught me by surprise because of lackloster conditions prevailing during these months. The Saudi station is heard here alone with no TalkSport at all (12-29-2015 2:02). SAUDI ARABIA, BSKSA 1st program on 1449 KHz with a nice surprise during the same period as the log above. Its content was parallel with 1521. SYRIA, Radio of Syrian Arab Republic at 783 KHz with good signal and ID at second 33 " Iddha at Dimashq..." - Here's another clip of the same station. Thanks to Tarek Zeidan for ID. SYRIA, Al Nour Radio at 1071 KHz with ID "Idha'at al-Nour". Thanks to Mauno Ritola at RealDX for the help. 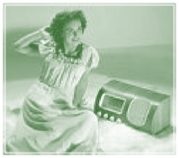 SYRIA, Radio Damascus on 936 KHz with news commentary from a Lebanese newspaper. Tnx to Tarek Zeidan for this info and ID (Nov 2018) NEW. UNITED ARAB EMIRATES at 1539 KHz, Radio Aap Ki Dunyaa. Thanks to Chuck Hutton for pointing out the ID in the man speech. One minute later, man talking in Urdu language (EMWG) with VOA mention at sec.7. UNITED ARAB EMIRATES, 1575 KHz, Radio Farda with strong signal this time. ID at second 44 and a Perseus waterfall shot - Here's another clip with good signal. UNITED ARAB EMIRATES, Radio Sawa at 1170 KHz dominating a 10 KHz split (Oct 2009) - Here’s now renamed Sawt Al-Joumhouria (MWLIST) with ID right at the start “Idha Sawt Al-Joumhouria” (Nov 2018) NEW. UNITED ARAB EMIRATES, Radio Farda at 1314 KHz. Not quite regular here.